A human rights court ruling, backing a Macedonian transgender man’s battle to change his gender on his birth certificate, is being watched closely in nearby Kosovo. The European Court of Human Rights, ECHR, has ruled that Macedonia’s requirement that people must undergo gender reassignment surgery before their gender marker on ID documents can be changed is a violation of human rights. The judgment, issued last Thursday, said deficiencies in Macedonia’s laws concerning modifying gender on official identification documents infringed the right of Macedonians to respect for their private life. But two of the seven judges on the case dissented, saying the ruling followed a “trend” in favour of protecting transgender people’s human rights rather than the law as it stands. The judgment may have repercussions beyond Macedonia. A Kosovo citizen, Blert Morina, who submitted a case to Kosovo’s Constitutional Court last year, is in the middle of his own legal battle to change his name and gender on Kosovo identification documents. “Macedonia’s case could be a huge turning point for the future of the transgender community all over the Balkans,” said Morina, who is the director for the Center of Equality and Liberty in Kosovo, CEL. In April 2018, Kosovo’s Civil Registration Agency rejected Morina’s request to change his name and gender marker. His lawyer, Rina Kika, said he had requested a constitutional review of the agency’s decision last July. “Kosovo institutions should … comply with the recent judgement of the ECHR’s X v FYROM and establish effective and accessible procedures for transgender people who wish to obtain legal recognition of their gender identity,” Kika said. Transgender flag held high at Kosovo’s second pride parade in October 2018. | Photo: Atdhe Mulla. The court hears cases from people in Council of Europe member states who can bring claims against their country if they believe their human rights have been violated. Kosovo is not a Council of Europe member, however, so its nationals still cannot have their cases heard by the court. Despite this, Kika said its judgements are law that Kosovo judges must follow. Obstacles go beyond problems of CoE membership, however. Civil society organizations in Kosovo say local judges, politicians and people have yet to give transgender rights and human rights law in general the support it needs. X, as he is called in the judgment, was registered as female on his birth certificate with a woman’s name when he was born in 1987. According to the recent judgment, X became aware that he was male rather than female early on in life. X began taking hormones to increase testosterone levels and in June 2011, X applied to change his first name and family name. This was approved. But the decision did not stretch to allowing X to change his gender on his birth certificate. The Ministry of Health said it sought clear evidence of complete gender reassignment surgery before it could approve such a change. X challenged this decision in November 2011 in Macedonia, which joined the European Convention on Human Rights in 1997, after the appeal to the civil status registry to change the documents failed. X claimed – and the European Court agreed – that Macedonia was not justified in requiring X to undergo gender reassignment surgery before changing the gender on his ID. “The circumstances of the case reveal legislative gaps and serious deficiencies that leave the applicant in a situation of distressing uncertainty vis-a-vis his private life and the recognition of his identity,” the judgement reads. Illustration by Trembelat for Prishtina Insight. X’s legal representative, Natasa Boskova, said the government in Macedonia is now revising the Law on Civil Registry. “We hope this judgment will accelerate the process of the new law in Macedonia,” she said after the judgment was released. ILGA Europe, the European Region of the International Lesbian, Gay, Bisexual, Trans and Intersex Association, ranked Macedonia lowest in the Balkans in terms of laws protecting its LGBTI community in 2018. It ranked it in 41st place out of the 49 countries included in the 2018 rankings. It was ahead only of countries like Turkey, Russia, Armenia and Azerbaijan concerning its LGBTI rights record. Morina said these deficiencies deter transgender individuals from seeking change. “Such stories, where transgender people are rejected by the state and do not have the right of identity, have affected the community negatively,” he said. “Transgender people all over are struggling with the judgment of society, their families and even themselves, so being rejected by the state is too much,” Morina added. Kosovo’s administrative instruction on name change procedures says people can change their names on ID documents so that their name reflects their gender identity. However, there is no procedure to change gender markers on these documents. The Council of Europe has said that countries must make sure this possibility is in place. “Blert Morina’s case has shown that, for our domestic institutions it does not seem to be enough to have gender identity as a protected legal category under the Law on Protection from Discrimination and the Law on Gender Equality,” Kika said. The recent case against Macedonia is not unique, according to Kika. The court has issued judgments on more than 20 cases on gender identity from across Europe. In October 2018, eight other judgments were pending. While procedures for changing gender on IDs are fundamental, Kika said they should also be available for transgender people who have not, and do not intend to, undergo surgery. 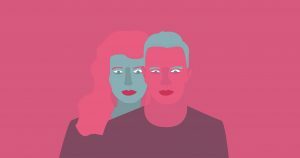 Cases against France and Italy in the last two years confirmed that the right to change gender on identity documents should be available to those who have not undergone gender reassignment surgery. “The ECHR is sending a clear message to the signatory parties of the Convention that it is a positive obligation of the state to establish procedures that are accessible and effective for gender recognition,” said Kika. The court in X’s case found that, despite Macedonia’s insistence to the contrary, it had set no clear requirements on the need for full gender reassignment surgery before a birth certificate could be modified. Kika said the same situation exists in Kosovo. “In Blert Morina’s case, the Civil Registration Agency rejected his request to change his name and gender marker on the grounds that he had not provided medical evidence that proves that he had undergone gender reassignment surgery, and it furthermore deemed his request as ‘unreasonable,’” Kika said. Lack of clear procedures is only one of the problems relating to transgender recognition in Kosovo, Arben Sejdaj from the European Center for Minority Issues in Kosovo, ECMI, said. He said lengthy court processes and a lack of capacity are other big obstacles. The ECMI’s 2018 discussion paper, Implementation of the international human rights treaties named in the constitution of Kosovo, noted that court cases in Kosovo can last up to an average of eight-and-a-half years. The Academy of Justice, the body that trains Kosovo’s judges, prosecutors and judicial staff, has acknowledged its limitations in terms of the attention it pays to human rights laws, said Sejdaj, and grants preference to domestic law. “Further capacity building and development are left aside, and non-domestic laws are not seen as a priority,” he said. Although Kosovo has in theory integrated human rights into its domestic law, Sejdaj continued, the reasoning behind this is never implemented. “The staff in the judicial sector that would conduct reviews and analysis of these problems are lacking,” he said. “Kosovo courts are compelled to follow the [ECHR’s] case law, but following precedent is not actually done. And nothing can really be done about this, as people in Kosovo can’t send a complaint to Strasbourg [the ECHR],” he noted. Law faculties in Kosovo universities also do not focus on practical training for law students, so they are not exposed much to human rights law during their studies. 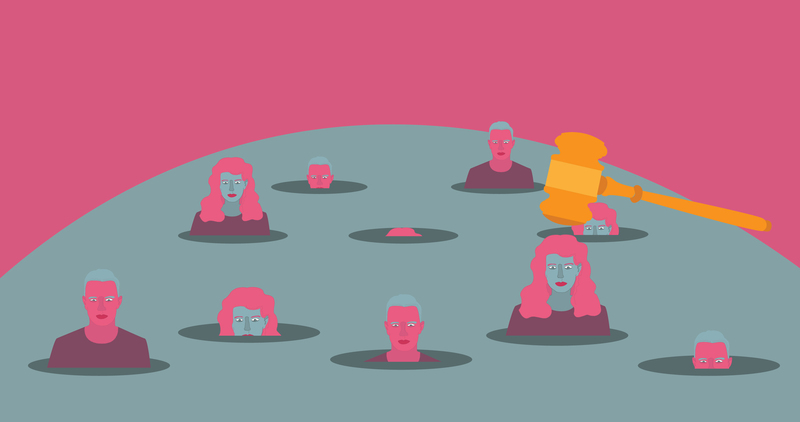 A lack of institutional will to prioritize human rights protections for transgender people is not only widespread in Europe, but also on the bench of the European Court itself. Two judges sitting on the X case voted against the ruling. They said the judgment was an unreasonable departure from previous judgments on similar issues. “It is incompatible with the mandate of a judicial body to trigger or amplify societal changes by way of an ‘evolutive interpretation’ of the Convention,” the dissenting judges said. Taking changes in societal opinion into account is not unheard-of in ECHR judgments, however. The case of Christine Goodwin, who went before the court in 2002, established the general right of transgender people to legal recognition, in her case the right to marry. 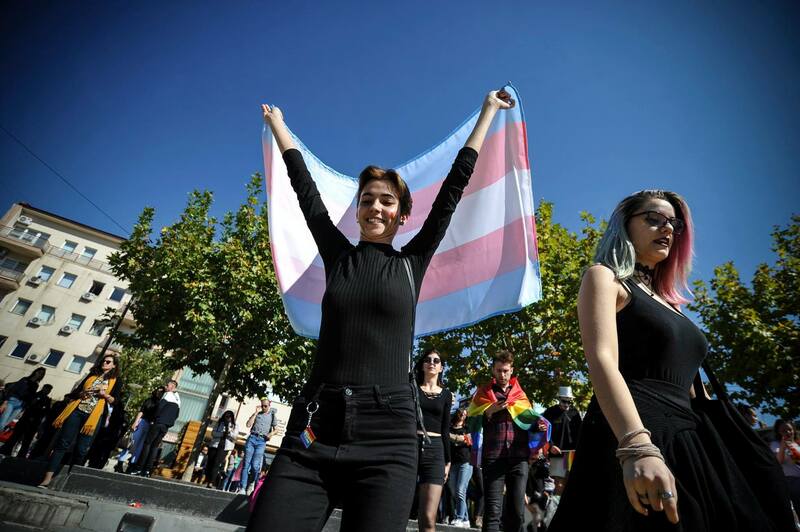 The court said a lack of consensus in CoE states on the rights of transgender individuals to legal recognition does not mean judges should ignore the trend towards their further legal protection. The court used what it called “clear and uncontested evidence” of a “continuing international trend in favour not only of increased social acceptance of transsexuals, but of legal recognition of the new sexual identity of post-operative transsexuals” to declare that the UK had infringed the essence of Goodwin’s right to marry by failing to recognize the practical disadvantages that the failure to obtain identification documents can pose. The LGBTI Support Center in Macedonia has stressed that laws protecting transgender people from such practical disadvantages are still not in place in the country. “In Macedonia, there is still no law on legal recognition of gender, and transgender people [are] still exposed to harassment and unpleasant situations on a daily basis, whenever they need to use a personal identification document in which the gender mark does not correspond with their gender expression,” it stated. Despite Macedonia sitting at the bottom of the table concerning its LGBTI rights record, ILGA Europe’s 2018 country report for Macedonia was positive in outlining Macedonia’s progress since 2017. “A new anti-discrimination bill providing comprehensive protection on multiple grounds, long called for by the community, was drafted after consultation with LGBTI NGOs,” the report reads. “The new education ministry is committed to reviewing textbooks and curricula to remove LGBTI-phobic material,” it added. However, although the anti-discrimination bill was introduced into Macedonia’s parliament in May of 2018, it still has not passed. Although Kosovo’s own law protects people from discrimination on the basis of gender or sexual orientation, it has also done little to improve the situation of transgender individuals, Kosovo LGBTI rights activist Lendi Mustafa said. Mustafa, who protested against the Kosovo Constitutional Court’s failure to process Morina’s case last September, said that it is time that local institutions and society offered protection and respect to the transgender community. “The lack of recognition of gender identity in Kosovo is a violation of fundamental rights, more precisely a violation of the right to privacy and dignified life, and [the state] fails to offer protection against discrimination for transgender people,” Mustafa ended. Feature GIF by Trembelat for Prishtina Insight.